The fate of other priceless pieces of art still remain unknown. After a catastrophic fire destroyed most of the roof of the Notre Dame Cathedral in Paris, a glimmer of hope shone inside the building's interior. 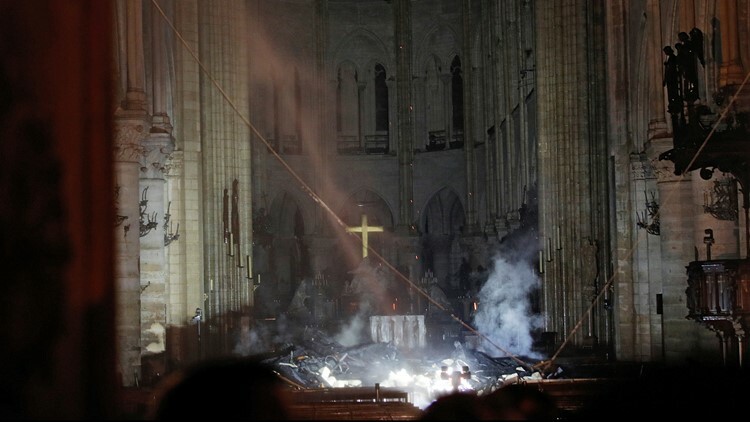 Photos of the altar show the golden cross shining brightly amid dust and rubble from what appeared to be the charred remains of the cathedral's roof. The cross has become a symbol of hope for the French, whose iconic church burned during the holiest week in the Catholic calendar. Officials said that the high alter was damaged by falling debris. The photo has been shared widely on social media, with many calling the image "deeply moving." The 12th-century cathedral is home to incalculable works of art and is one of the world's most famous tourist attractions, immortalized by Victor Hugo's 1831 novel "The Hunchback of Notre Dame." Several of the cathedral's most priceless relics have been saved, but the fate of many others remains unknown. Paris Mayor Ann Hidalgo confirmed that the Crown of Thorns that the Catholic Church says was placed on Jesus' head before his crucifixion was safely retrieved from the cathedral. In a tweet, she thanked Paris firefighters for forming a human chain to save the works. The Crown of Thorns is regarded as the Notre Dame's most sacred relic. It is on display only certain parts of the year, such as Fridays during Lent. The tunic was another one of the works saved from the fire along with the Crown of Thorns. It is thought to have been worn by King Louis IX when he brought the Crown of Thorns to Paris in 1238. Minister of Culture Franck Riester said in a tweet that the major relics were currently being kept under safekeeping at the Hôtel de Ville, Paris, or City Hall. 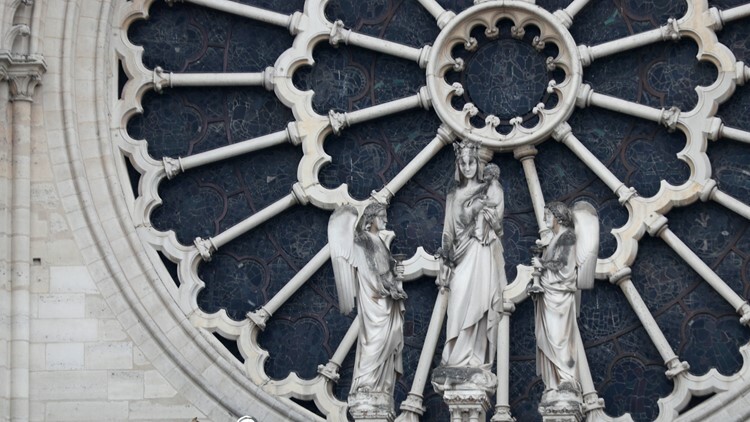 The Notre Dame Cathedral contains three stained glass rose windows that depict religious scenes from the Old and New Testaments.. The intricate glass dates back tot he 13th century. The windows survived World War II, when they were removed for fear of Nazi vandalism and looting. 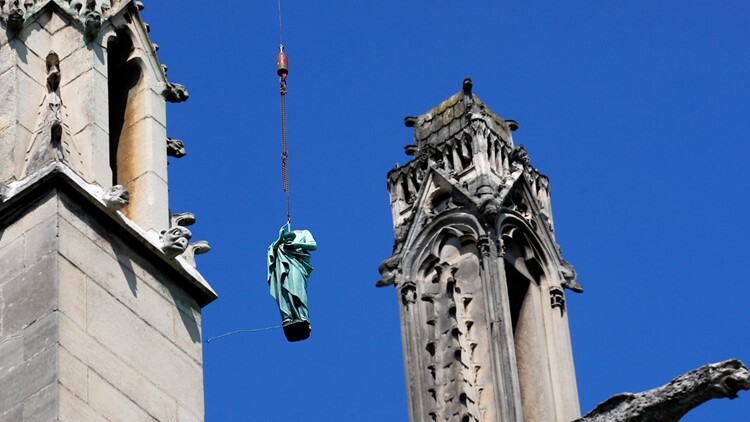 The windows are still intact, but Laurent Prades, the heritage director for the Notre Dame said that they may have been damaged by the heat, and will need to be accessed by experts. The relics of St. Denis and St. Genevieve were stored in the spire of the cathedral, which collapsed during the fire. They were placed there in 1935 to protect the building. The fate of the relics is currently unknown, but they are likely to be lost, as the entire spire collapsed during the fire. Religious relics usually consist of the physical remains or personal effects of a saint. The large copper statues of the 12 apostles were removed from the cathedral earlier last week as a part of ongoing renovation work. They were sent southwestern France for restoration. The cathedral was undergoing a 6 million-euro renovation at the time of the fire. The bells of Notre Dame are housed in the towers, which were left untouched in the fire. The largest bell is named Emmanuel and survived the French Revolution. Emmanuel has been rung during many major moments in French history, including the end of both world wars. The bells played a large role in Victor Hugo's "The Hunchback of Notre Dame." Quasimodo, the main character, was the cathedral's bell ringer. 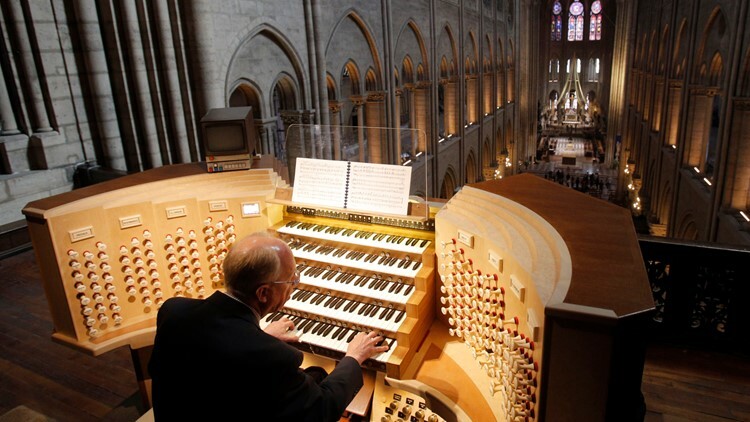 Paris officials said the world famous 18th century organ that boasts 8,000 pipes also appeared to have survived. The organ dates back to the 13th century, and is the largest organ in France. It was restored in the 1990s. Paintings and statues adorn a significant portion of the inside of the cathedral. A statue of Joan of Arc commemorates her beatification at the cathedral in 1909. Pieces of the cross that Jesus was believed to be crucified in are also among the relics held inside the cathedral. Riester said that all of the works of arts and most precious treasures were secured. "We assume they have not been damaged by the fire but there will eventually be damage from the smoke," he said..
"All the 18th century steles, the pietas, frescoes, chapels and the big organ are fine, said Prades.